Last week it was Brett Kavanaugh. 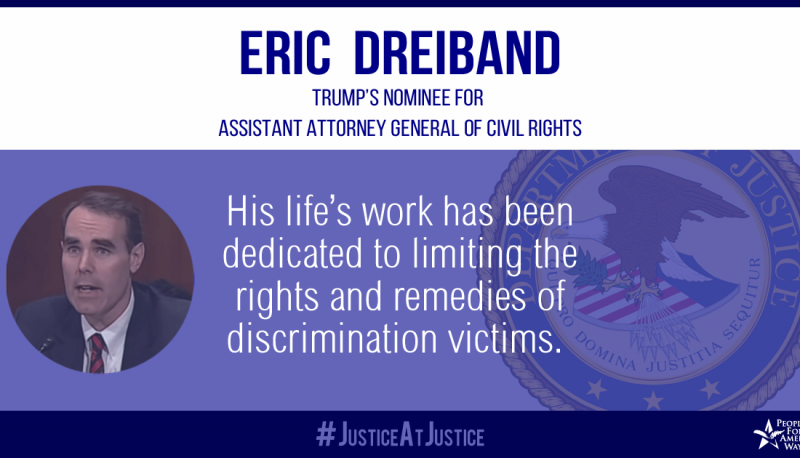 This week, it’s Eric Dreiband, Trump’s nominee to run the Civil Rights Division at the Justice Department. Our letter of opposition last year sets out in detail why PFAW opposes Eric Dreiband. Both professionally and personally, he has worked to limit access to justice for victims of discrimination. He stands in opposition to the mission of the Division he now wants to run. 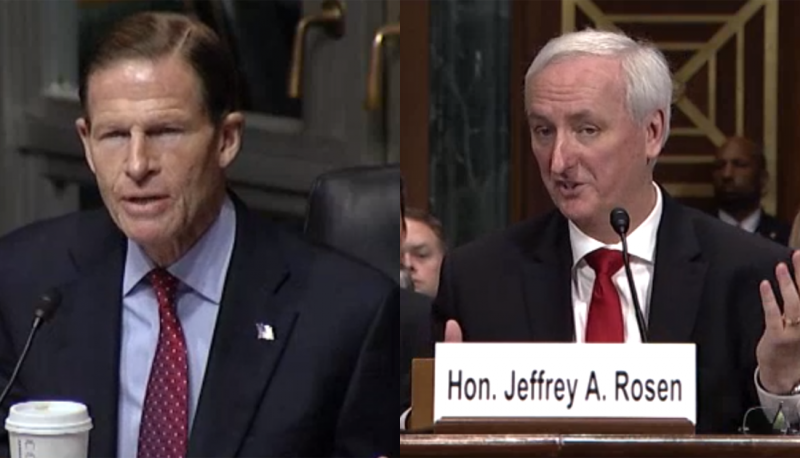 When Democratic senators on the Judiciary Committee confronted him about his record, Dreiband blatantly lied in response. 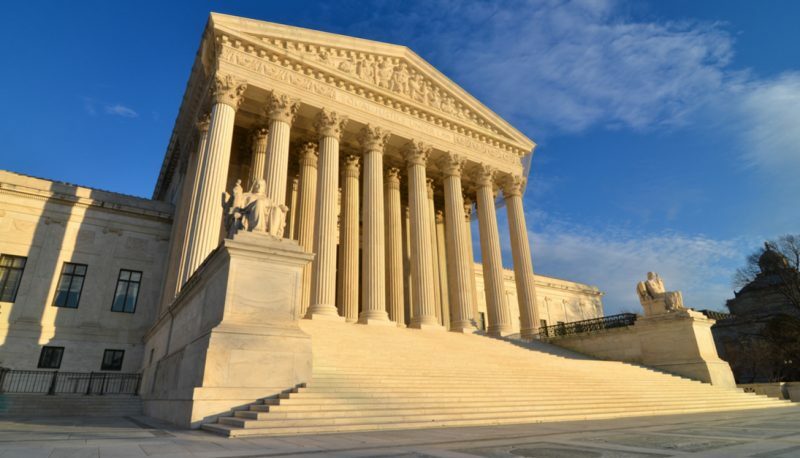 The nation saw just how low Republican senators are willing to go to get someone who shares their agenda confirmed to the Supreme Court. Now, after delaying Dreiband’s floor vote for a year, Senate Majority Leader Mitch McConnell, R-Ky., apparently feels confident that his caucus will send this DOJ nominee to wreck the Civil Rights Division. So we should call our senators and urge them to stand strong and oppose Dreiband. 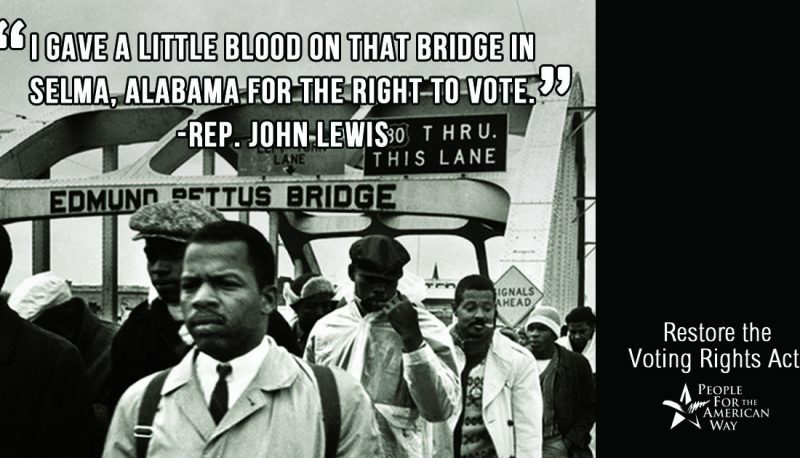 Then as soon as we hang up, get involved in the midterm elections and help Democrats retake the chamber. Nominees like Dreiband shouldn’t have even gotten out of committee.